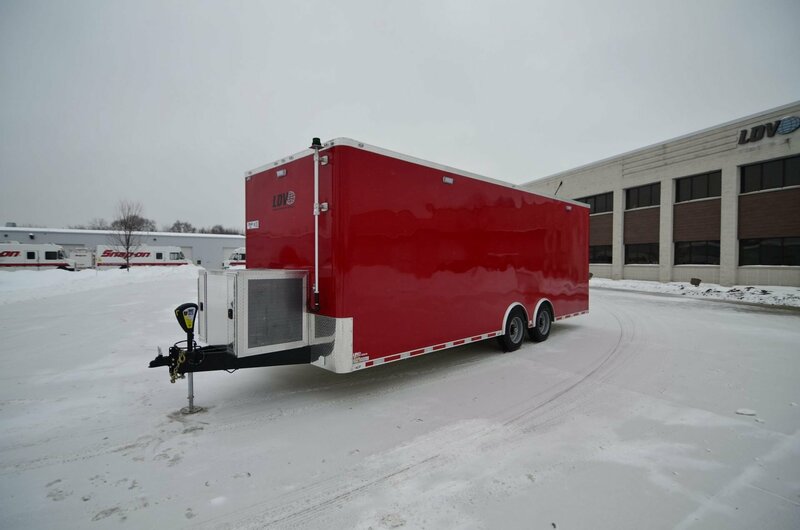 Eielson Air Force Base chose an ATC Quest steel trailer for their mobile command center trailer. The trailer includes a galley kitchen with microwave, refrigerator, and coffee maker for staff on scene. Bench seating with bottom-hinged drawers has been integrated for additional storage space. Aluminum cabinets are utilized for storage as well. A conference table with 4 removable legs is perfect to stow away while on the go. A portable generator is mounted on the trailer tongue in an enclosed generator box. Two wall mounted heaters and a low profile air conditioner help keep the temperature comfortable in any type of weather.